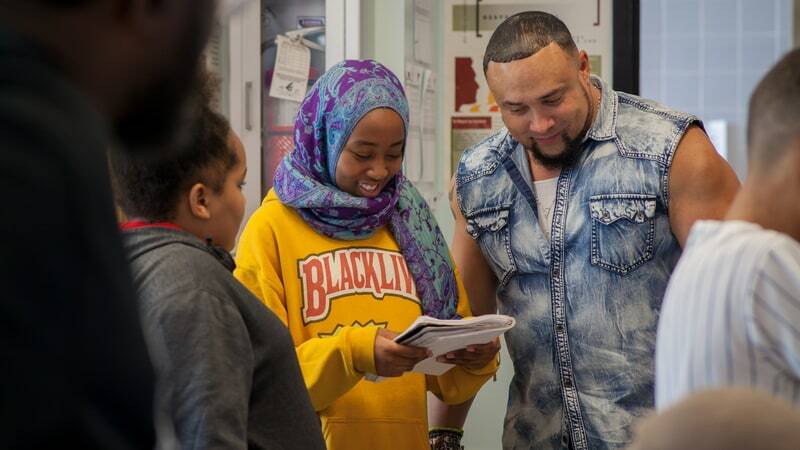 The rapper Chino XL teaching students at Hip-Hop Architecture Camp. Photo by M.O.D. Media Productions. 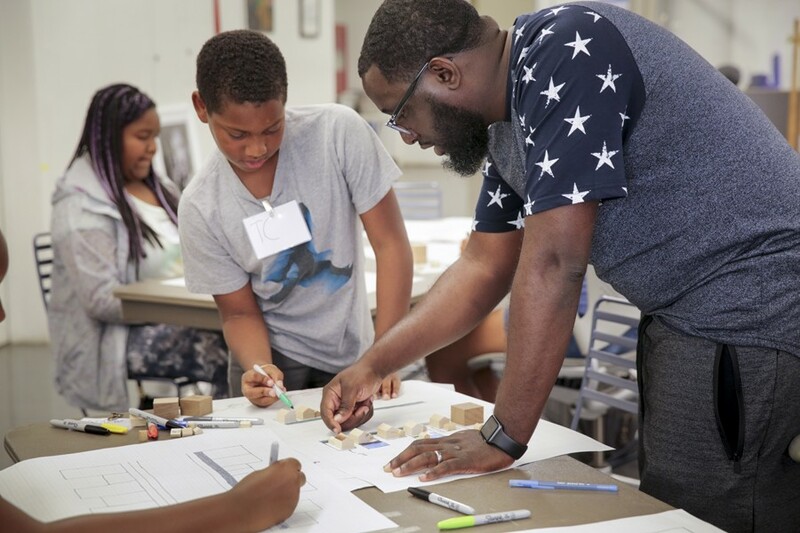 The Hip Hop Architecture Camp was featured in Rolling Stone Magazine! Highland Park native Michael Ford has made a career out of his two seemingly unconnected passions: hip-hop and architecture. But listen to him talk and the two are obviously intertwined — it was the Swiss-French architect Le Corbusier's invention of the idea of modern housing projects that gave rise to 1520 Sedgwick Ave. in the Bronx, and 1520 Sedgwick Ave. gave rise to hip-hop. After giving a traveling lecture series and exhibition series on the interconnectedness of hip-hop and architecture, Ford will soon bring his latest project to Detroit. Hip Hop Architecture Camp is a weekly, month-long meetup open for free to middle school students designed "to introduce underrepresented youth to architecture, urban planning, creative place making, and economic development through the lens of hip-hop culture," and after the camp MOCAD will show an exhibition of work created by the students. We spoke with Ford to learn more. 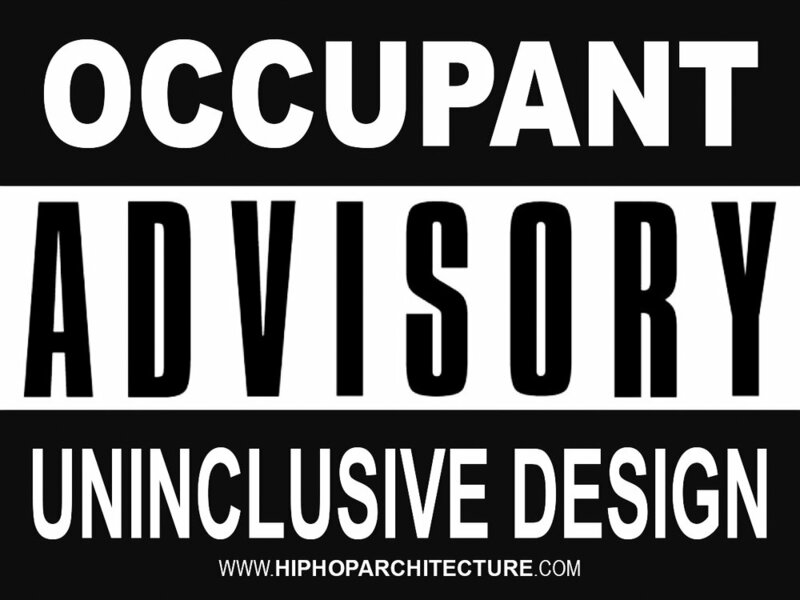 After keynoting The 2018 Interior Design Show in Toronto I was interviewed by Dezeen Magazine about the creation of The Hip Hop Architecture Camp funded by Autodesk and the benefits of combining architecture and Hip Hop Culture! PLATFORM is the annual magazine of The University of Texas at Austin School of Architecture. It serves as a “platform” for the school to investigate the intersection of its research, practice, and pedagogic interests with a broader audience. Each issue of Platform features thought-provoking articles of topical interest in the disciplines of Architecture, Architectural History, Community and Regional Planning, Historic Preservation, Interior Design, Landscape Architecture, Sustainable Design, and Urban Design. Guest editors selected from the School of Architecture’s faculty develop a new theme or prompt for the publication each year and drive its conceptual direction. This issue, titled Convergent Voices, is edited by Nichole Wiedemann and Charlton Lewis and centers on a conversation between contributors with expertise ranging from Architectural History and Landscape Architecture to Community and Regional Planning. It represents a dynamic collection of distinct voices and viewpoints brought together by a shared concern for the inequities in our cities and built environments and the urgent need to address these inequities. "From Grandmaster Flash and the Furious Five rapping in their 1982 classic “New York New York” about “Staring at a skyscraper reaching into heaven / When over in the ghetto I’m livin’ in hell,” to Jay Z rhyming on 2017’s “Marcy Me” that “I’m from Marcy Houses, where the boys die by the thousand,” hip-hop has always had an intimate relationship with the architecture of cities. But what if the low-income youth of color who live in the ghettos and housing projects of Gotham — or Los Angeles or Detroit — had the technical know-how to redesign their hometowns and create buildings that serve their communities?